After so many rumors, leaks, and buzz, the Samsung Galaxy S5 has finally been launched. The device was unveiled at the Mobile World Congress, Barcelona the last week. The device is scheduled to be shipped April 11 onwards. 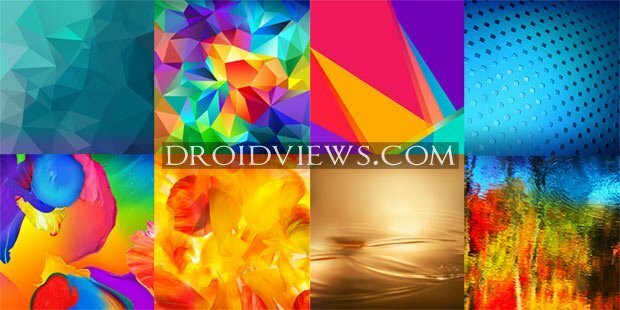 You might be planning to get the Galaxy S5 or not, you might like it or not, but I am quite sure that you will like the wallpapers from the Galaxy S5. This is our third post in the row in which we are sharing stock wallpapers from the devices released at the MWC. This time we have 2 all new wallpapers from the Galaxy S5 for you. Both the wallpapers have been pulled from the device itself and they are in full HD quality. One of these wallpapers (the colorful one) has the resolution of 2160 x 1920 pixels, while other are in portrait orientation with 1080 x 1920 pixels. Besides two wallpapers from the Galaxy S5 we also have a darker version of the blue wallpaper. 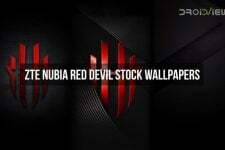 We have gathered together these wallpapers from various forums to make them available at one spot. Of course, the device has more wallpapers and when they come out we’ll be adding them here too. 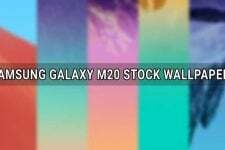 You can download the Galaxy S5 stock wallpapers from our link below. The blue wallpaper seems to be wrong? The original ones are in the first post of this thread: http://forum.xda-developers.com/showthread.php?t=2660678. Or just go directly to this link: https://mega.co.nz/#F!zFtnQTzR!12TaEmRTrP0P3Sj5okEktg for the wallpapers. Hope you make the corrections. Cheers, mate! Just checked the wallpapers, they have been pulled from the system dump itself. Also added the Mega link in the post. Thanks. Oh! And in the preview image on this web page the stock wallpaper seems to have an indigo-violet tinge at the bottom. It’s not there in the stock wallpaper, or is it? Yes, it just like that. @DroidViews:disqus Oh! And in the preview image on this web page the stock wallpaper seems to have an indigo-violet tinge at the bottom. It’s not there in the stock wallpaper, or is it?